Professor Petras, who has written several books on international political issues, made the remarks in a phone interview with Press TV on Saturday, after the US military dispatched 620 shipping containers packed with ammunition to Europe, the largest single shipment in last two decades. According to reports, the heavily loaded containers arrived at the northern German port of Nordenham by the end of October. The containers will be transported to a depot for storage and distribution to other locations across Europe, according to a US Army statement. 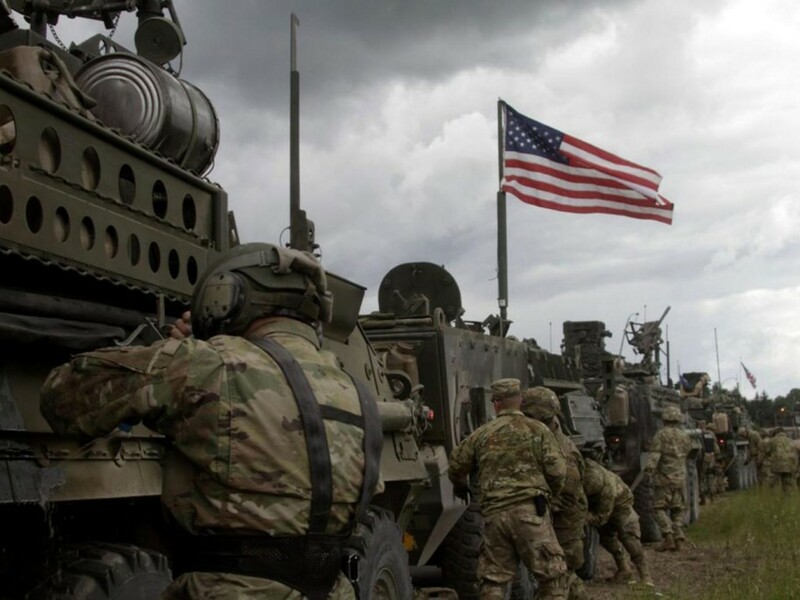 Last week, the Pentagon announced to deploy at least 6,000 American soldiers and heavy armor to Eastern Europe next year to counter an “assertive” Russia. “I think the suddenness of this buildup has a direct response to Trump’s closer working relationships with President Putin,” Petras said. “I think this is a desperate move by Obama and is certainly in line with what Hillary Clinton would have done, but certainly not in line with Trump’s policy of reconciliation with Russia, and pressuring Europe to pay for its own arms and its own program,” the scholar concluded. Relations between Washington and Moscow were already at their lowest point since the end of the Cold War in 1991, largely due to the Ukraine crisis. The US and its allies accuse Moscow of sending troops into eastern Ukraine in support of the pro-Russian forces. Moscow has long denied involvement in Ukraine’s crisis. Ties between the US and Russia further deteriorated when Moscow last year launched an air offensive against Daesh terrorists, many of whom were initially trained by the CIA to fight against the Syrian government. Last month, Russia moved a battery of nuclear-capable missile launchers within range of three Baltic states, in what US officials said was a gesture to express displeasure with the Western military alliance of NATO. In late October, Russia unveiled images of a new intercontinental ballistic missile dubbed the Satan 2, which, it says, can carry up to 15 separate warheads powerful enough to destroy an area the size of Texas. The US, in September, flew three long-range nuclear bombers over Eastern Europe to participate in NATO military exercises. These developments, some observers say, can cause a nuclear confrontation between the two countries.